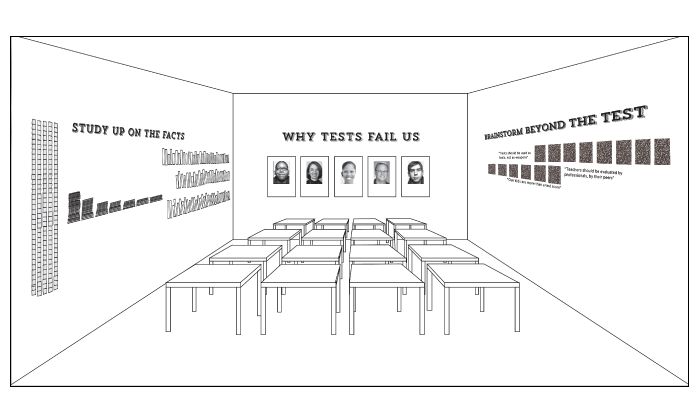 UW Design 2013 | Are Tests Failing Us? 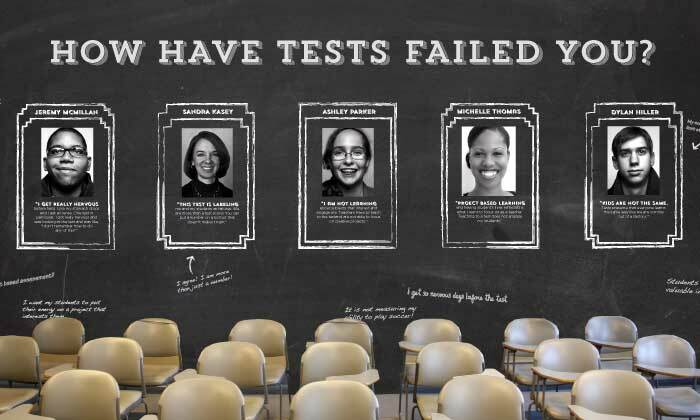 Are Tests Failing Us? 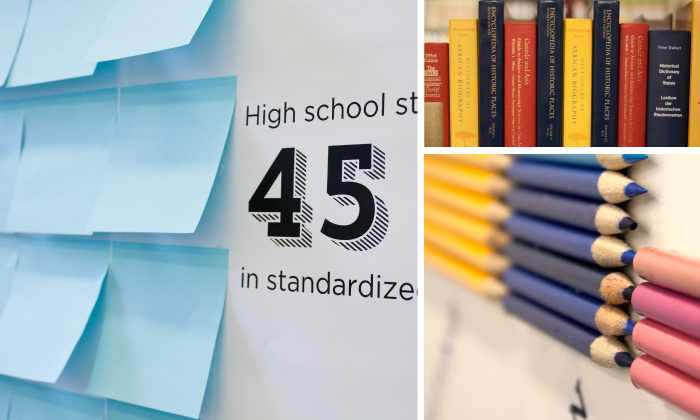 is an exhibit that prompts an open discussion about standardized testing’s presence in the current education system. This exhibit would take place in a high school classroom in an “open house” like setting. 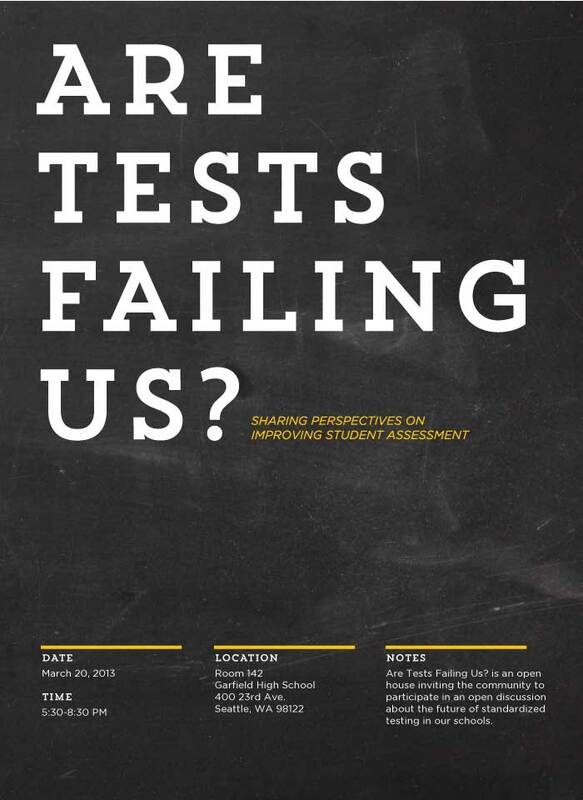 Teachers, parents, students, school board members and community would be able to visit the exhibit and discuss testing in schools. 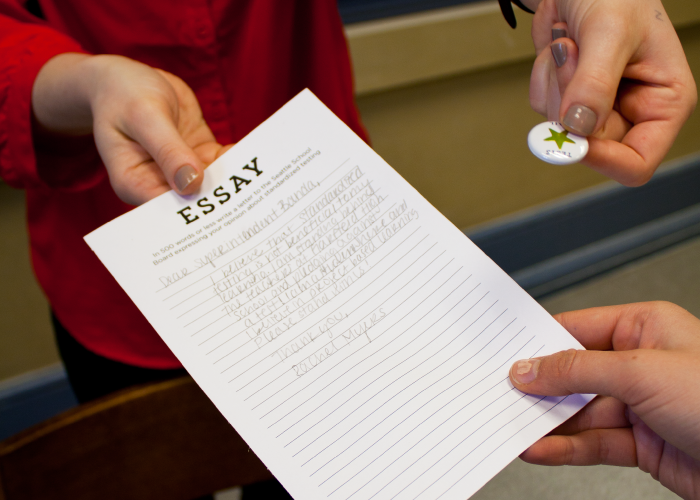 As visitors enter, a student will give them a pop quiz on standardized testing facts and prompt them to write an essay to the school board expressing their opinions. The aesthetic of the visuals are supposed to mimic the textures and materials of a classroom.